When I first started working in this office 3 months ago, I barely understood what the term “public relations” meant. I had no background in communications and only had a slight idea it involved writing – eg, press releases and articles. I knew that unlike advertising, public relations isn’t “selling” anything. So what is PR, exactly? According to Wikipedia, it is “the practice of managing the flow of information between an individual or an organization and the public”. Essentially, public relations is a management tool – for building credibility and allowing companies to evaluate public attitudes, identifying the public’s interest or concern. In times of crisis, PR is used to explain, defend, promote or reveal corporate policies to specific audiences so that these audiences can fully understand what the organisation has to say. With the internet today, just like everything else – public relations is constantly evolving. Traditional media is being replaced in favour of social media, and why not? It really is having the world at your fingertips, provided your mobile data plan allows for it. Advertising and public relations are both forms of communications. But there are several key differences between them. The company pays for ad space and time. Coverage in media is not paid for. Complete control of what goes into the ad. Little or no control over your information is presented, if the media decides to use your info at all. Since you pay for the space, you can run your ads over and over for as long as your budget allows. You can only submit a press release about a new product/news conference once. These days, consumers know when they’re reading an advertisement they’re trying to be sold a product or service. When a consumer reads a third-party article written about your product or views coverage of your event on TV, they’re seeing something you didn’t pay for with ad dollars and view it differently than they do paid advertising. Often appears less credible because viewers, readers and listeners are aware if it comes from an unbiased source. 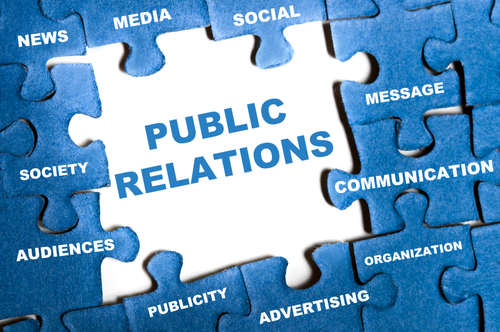 Public relations-based publicity is usually more credible with an audience as it comes via independent media. Additionally, public relations costs less than advertising. PR involves a mix of promoting specific products, services and events, and promoting the overall brand of an organization, which is an ongoing task. Individual advertisements are sometimes based on a brand but are more often based on a specific promotional message such as a price cut or the launch of a new product. Do you work in advertising or public relations? Let us know what you think – leave a comment! This entry was posted on 4 February 2013 by Corporate Media Services. It was filed under Uncategorized and was tagged with advertising, Communications, Marketing, Public relations.